He was born on October 17, 1886 in Tropaia, Arcadia. He immigrated to the US in 1904. He engaged in oil searches in California, Oklahoma, Texas and Louisiana. After a lot of labor in 1933, he finds black gold in desert in Louisiana, justifying his years of effort. He spends millions of dollars on oil fields in Texas and Louisiana. William G. Hellis, a multi-millionaire and one of the main supporters of the then-American President Harry S. Truman. He founded Hellis Petroleum Company with an annual production of 1,500,000 barrels. The company was in possession of a fleet of 50 vessels for the transport of oil. During the war, Hellis offered both the oil production as well as his fleet and his staff in the struggle of the US government. His successful business endeavors were the cause of becoming an important factor in the US. With his enormous donation, the Institute for Medical Research on the fight against tropical diseases is founded at the Louisiana University. In New York he was a pioneer in the relief of war victims in Greece. In 1946 he became National President of the Greek War Refiel, which with a lot of work and zeal managed to raise $ 12 million in 1947. In 1946 he was elected Vice President of AHEPA and in 1947 he was elected High President. 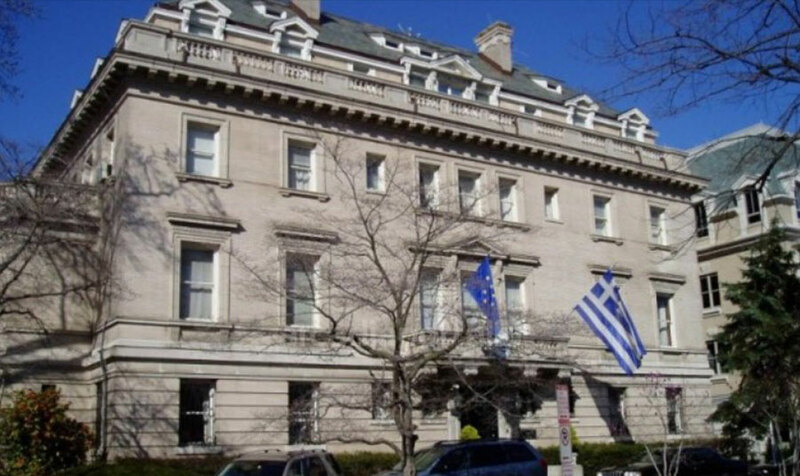 In 1938 the Greek government buys a building in Washington to house the Greek embassy. Then, William G. Hellis, offering a tremendous amount of money, helped to buy the palace on Massachusetts Avenue. His grandeur was sealed by the purchase of one of the best paintings of Domenikos Theotokopoulos, (EL GRECO) representing Saint Francis, an ornament that decorated our Greek embassy, reminding that this great painter was a Greek. As a sign of respect and honor, the Greek government appointed William G. Hellis, Consul General of Greece in N. Orleans with jurisdiction over the South and Southwestern States.